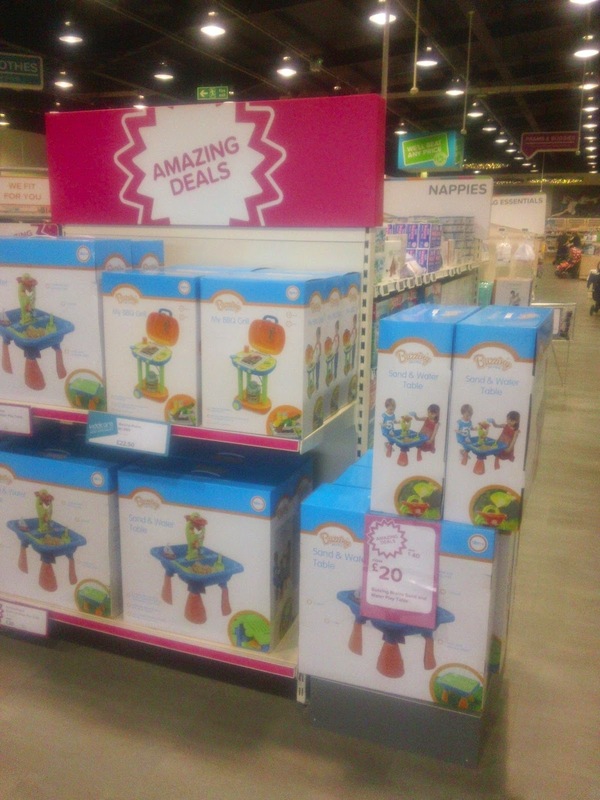 We happened to be in Enfield yesterday, so I said to the husband let's go to to Kiddicare. 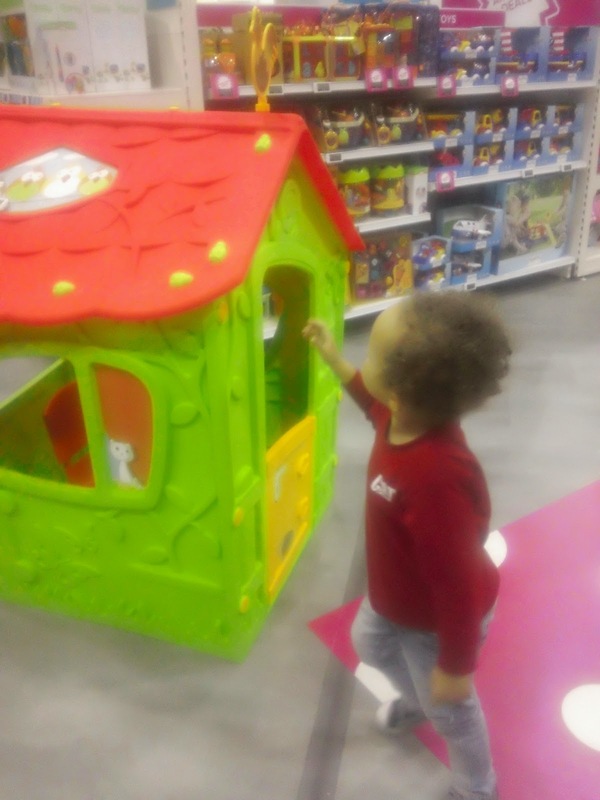 I sold it to him that I was going in there to get some of Aaron's birthday presents. I had said I wanted to get a cheap water/sand table. He gave me his credit card and said my budget was £20 LOL, as he wanted to get him something else... that's a whole other story. Now, really I just wanted to go in there to be nosey as I have been dying to take a looksie since it opened. 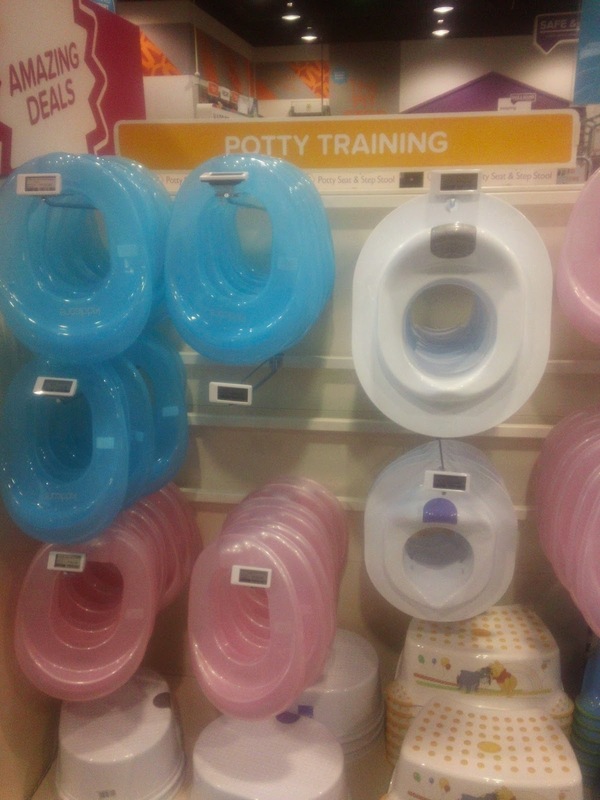 Now, I thought that maybe it only sold car seats, cots and buggies, so as I walked in, I thought: "What am I doing coming in here for toys?" 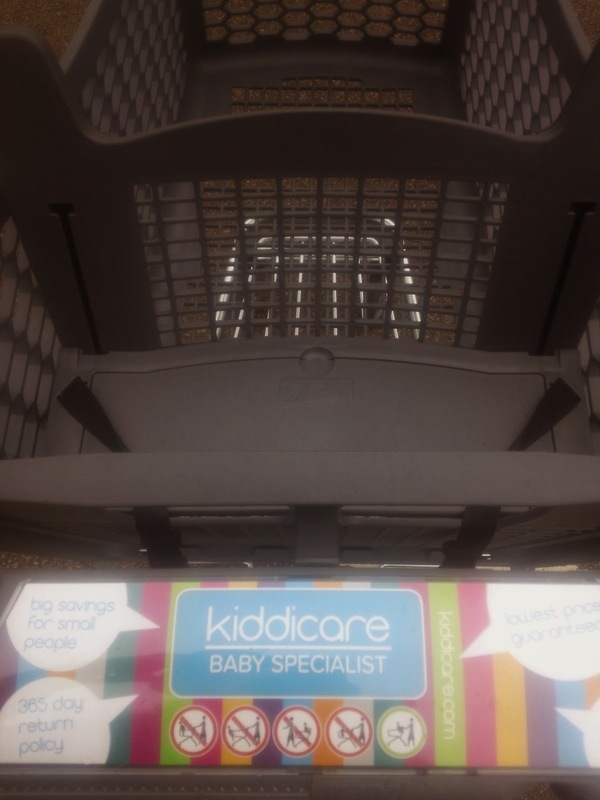 On the same retail park is a Toys R Us, and I knew Kiddicare would effect their Babies R Us section, but judging by yesterday they will effect them on toys too. 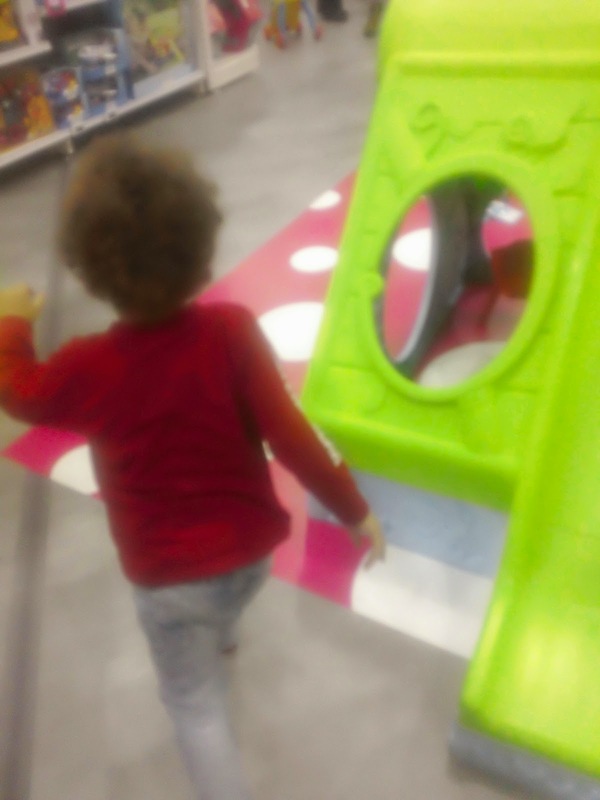 Every time I have been into Toys R Us since Aaron was born, I always spend ages going up and down aisles trying to work out what thing is for what age. Even more so when I am buying for 6 children at Christmas which I've always done at Toys R Us, and never particularly enjoyed it - the staff are not at all friendly. 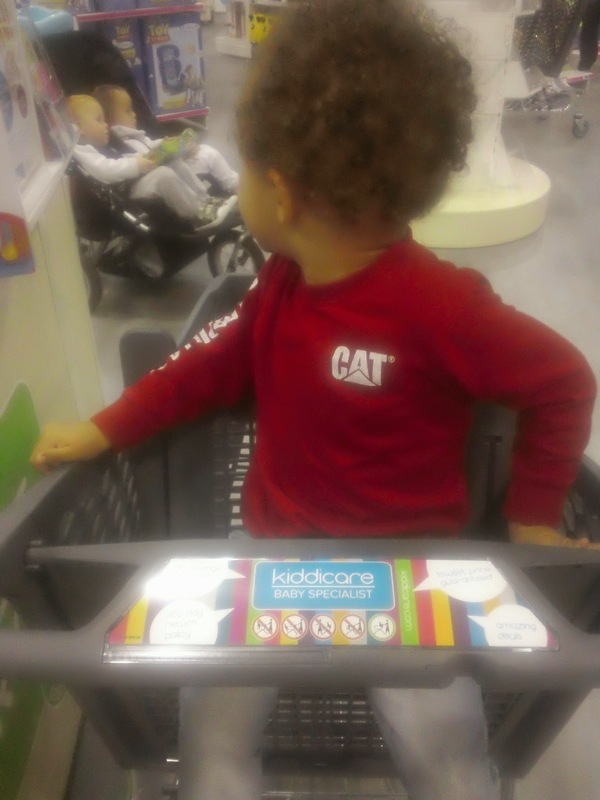 Anyway, Kiddicare only covers the years 1-5, so we have a couple to go as Aaron will be 3 on Saturday. 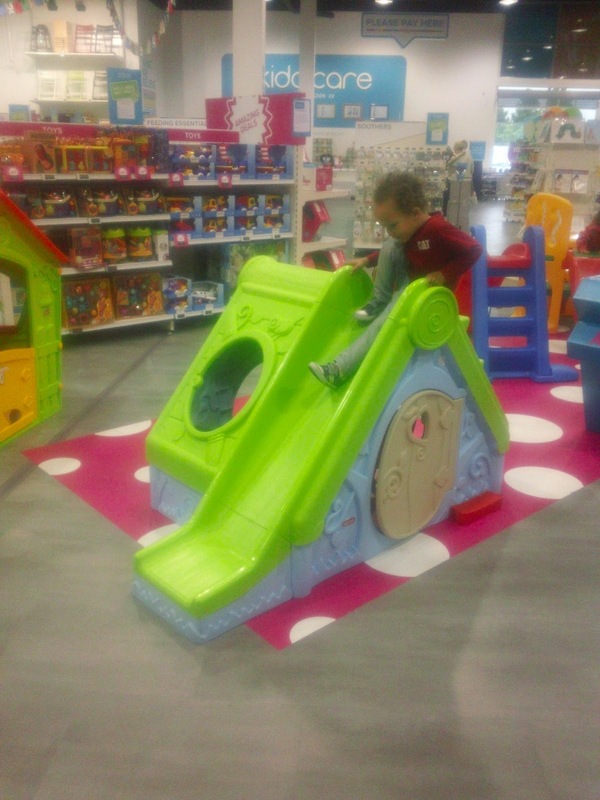 I felt at ease, at home, and like "a kid in a toy shop" the minute I arrived. 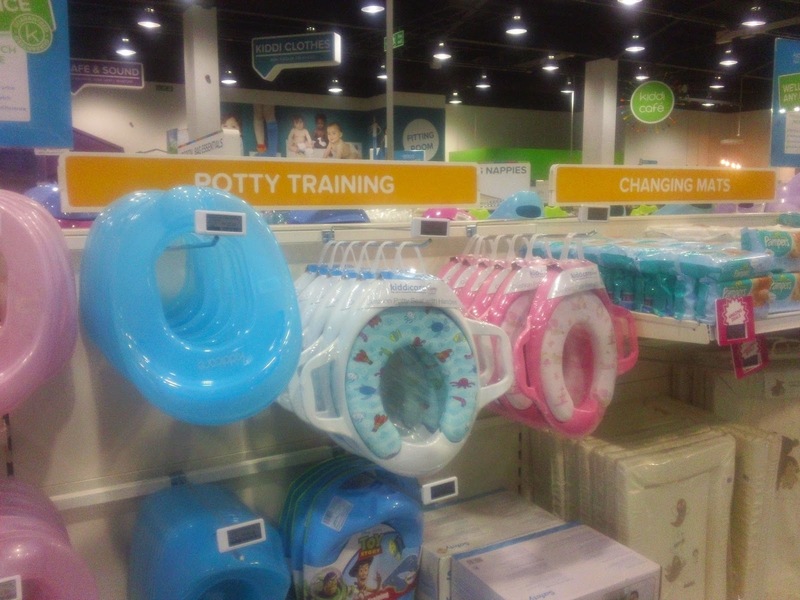 They KNOW how to do retail. The staff are friendly in that welcoming Disney kind of way which I love to be honest. Yes I am a sucker. 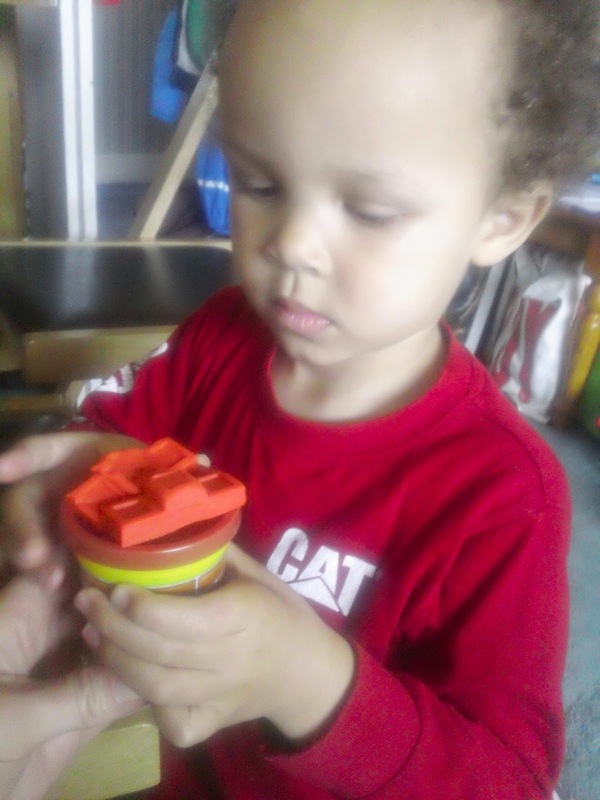 We love Play-Doh. I always feel sorry for my husband's childhood as he never had any so he is not all nostalgic about the smell of it like I am. 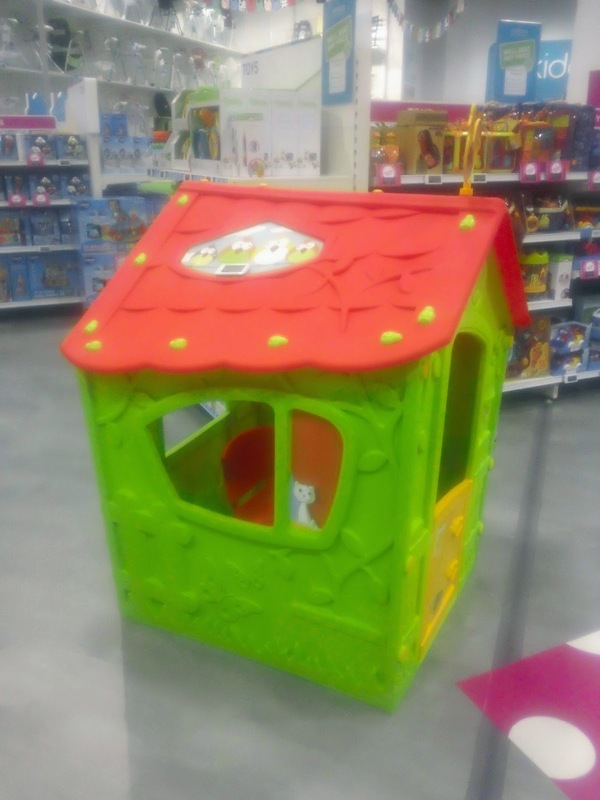 On their own range of toys - Buzzing Brains - they were doing buy one get one half price and this house was the same range as the sand/water table so I was sorted! Here's our photos. 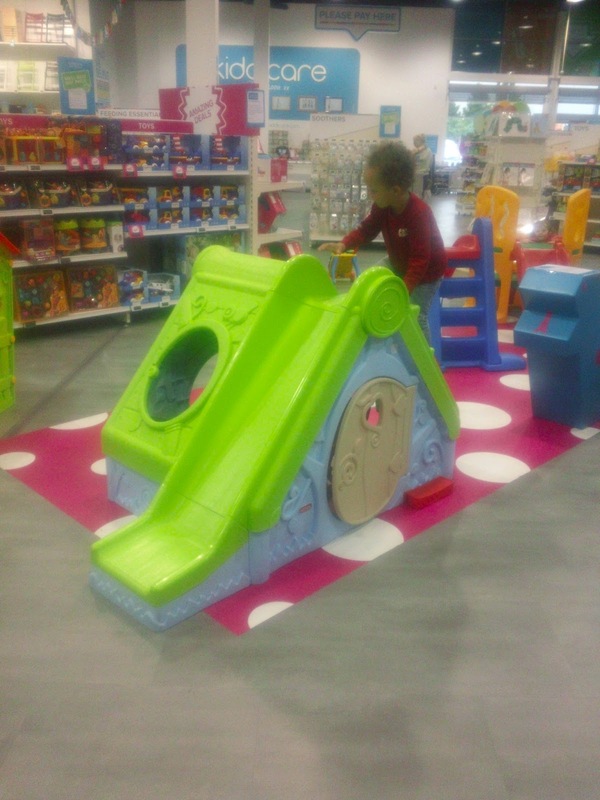 It's the first shop I have ever taken Aaron in, where he can PLAY. 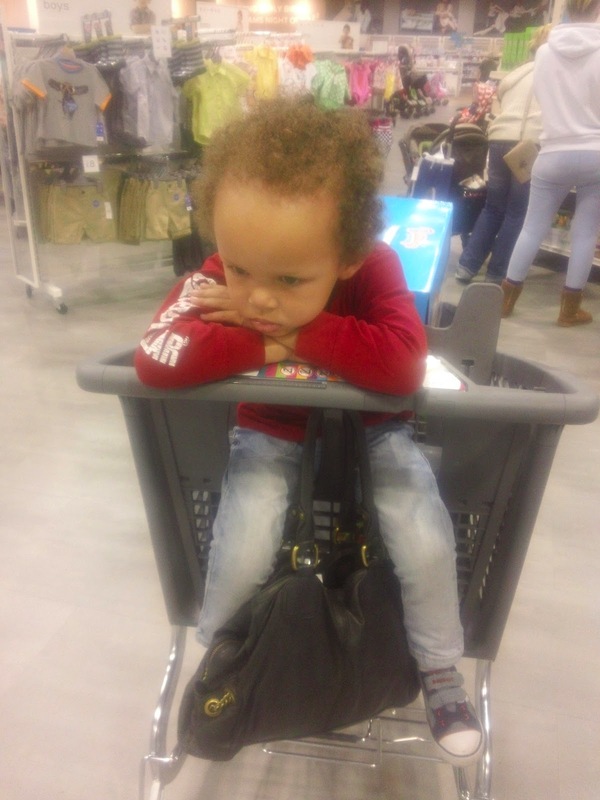 It's never been like that any time I have taken him to Toys R Us. 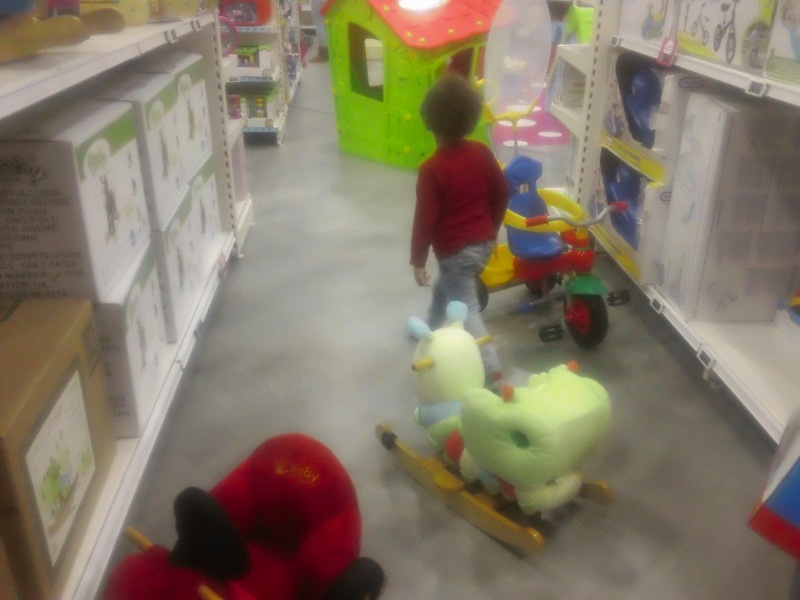 He was tired in the buggy as you'll see in the snaps but soon came alive when he saw what he could play with and promptly asked to come out of the buggy trolley. Then he's off like a racing car LOL! All of their prices are digital - this is how heavily reduced the wendy house is - good eh? This is the house we got. So so so many things to do on it - we both loved it! 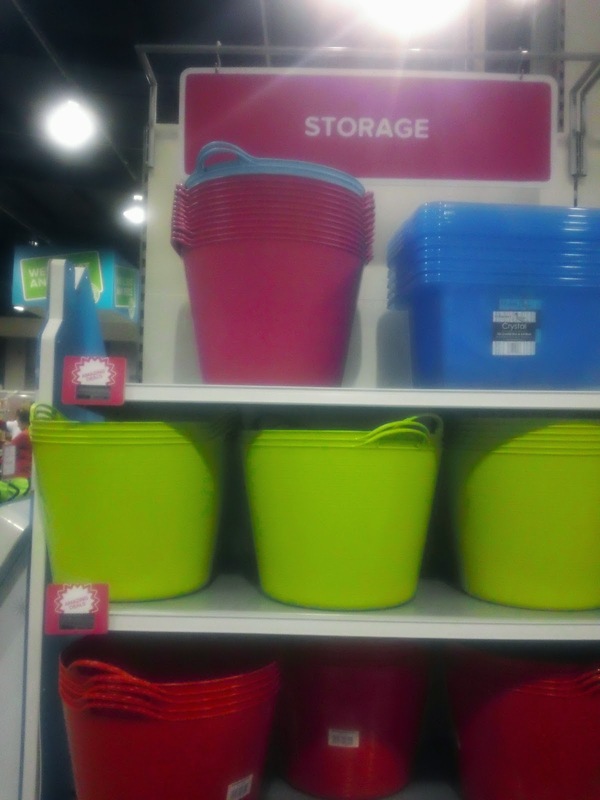 It's not particularly obvious from outside that they stock toys! I hope he enjoys opening his toys on Saturday morning.